I recently discovered the 80/20 rule while I was listening to a fitness podcast (of all things). 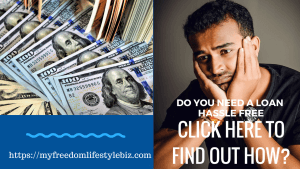 It’s already helped me gain a deeper insight into my home business as I’ve begun identifying the 20% of clients who provide me with 80% of their business. All customers are important to me, but my best customers deserve extra care as far as I’m concerned. I hate to admit this, but I even stopped taking work from one customer who was more trouble than they were worth. Is this okay to do in your opinion, Sylvia? the 80/20 rule is great and I love and use this system in my daily work. It took me a while to get the hang of it but when you got it the rule is so obvious that you think why did I not use it earlier. 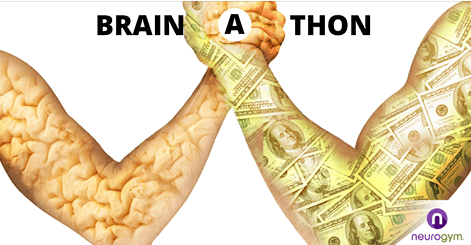 I did together with the 80/20 rule a program from John Assaraf that is called Brain A Thon and this is so good and I am not joking about it but it is really great and I love it. It helped me to get over my fears about not having enough time to do all the things I wanted to do. It also helped me to get over some money issues I had in the past. Here is the link to the webinar and it is a free event have a look. 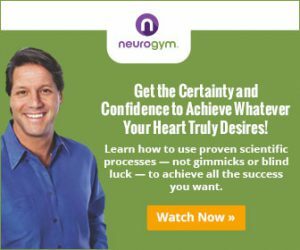 Understanding this 80/20 rule has a lot to do with the end in mind – if you could just picture where you want to be within a limited time, then you can reverse engineer your approach on how to get there which now gives you a basis to judge those activities which are in line with the ultimate goal. Unless one can decipher this, it probably be another fruitless exercise just like Darren said! 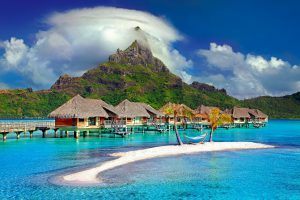 This is an interesting topic and would appreciate more on how to envision a goal that could be reversed engineered, remember this rule was made after a discovery, meaning – you might be wrong from your stand point now if you do not have an idea of how the end would look like. Sometimes people do not realise that effectiveness comes with a price. The price is being productive. Said this being productive and effective means you need to decide what is your goal and what do you want to accomplish in a specific time frame. Making decisions does not come so easy to some people for them to make a decision is difficult and they struggle with themselves to decide to do or not to do. Figuring out the 20percent of input that brings you the 80 percent of efficiency is a hard task to do. Especially if it means changing the routine. Our mind and body do not like to change habits it wants to stay save and sound. That is why this little voice in your head tells you not to do, but in your heart, you know you should do it. I love the 80/20 rule as it made my life so much easier. 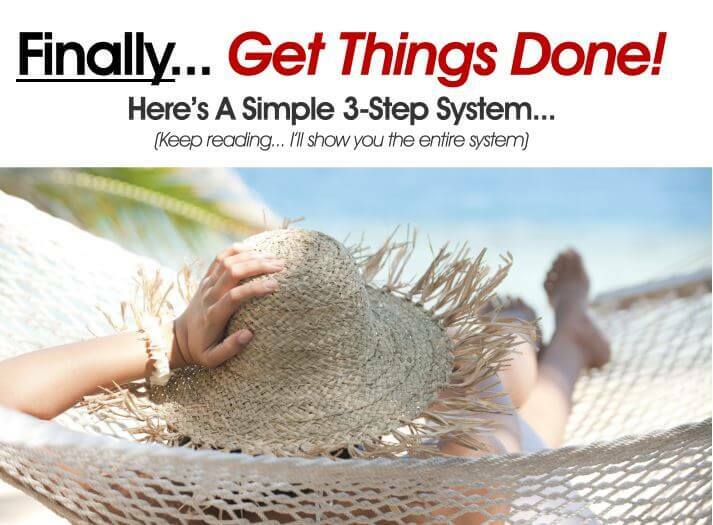 Another game changer is for people to believe that working hard and long hours makes you efficient ( only in your mind ) Financially success does not require hard work it needs an smart thought combined with an intelligent way of working. Sometimes I feel like I’m working way to hard for very little result, trying to force something to work that I believe should be working. But then I have to force myself to stop, step back and reassess, because I’m probably wasting time on tasks that just aren’t bearing fruit. You bring up some great points in you article, and the 80/20 principle is very true. We all need to keep it in mind constantly as we work towards our goals. The 80/20 principle is a bit of a tricky one, and sometimes you can get lost in the approach. In my opinion, the 80/20 rule is a game changer as it does require people to decide on what is the core of each task and efficiency/productivity level. It will take time but when you got it you are off to go, and success will come. Most companies and entrepreneur fail because they waste time on tasks that are time-consuming and on the bottom list of accumulating and earning an income. Great article! I think a lot of us have heard of the 80/20 rule, but you have explained it perfectly. I forgot that we should be using the rule in everyday life too. I am currently trying to lose some weight so I am being very strict about my diet. Thanks for reminding me that it’s ok to relax 20% of the time, otherwise I have a tendency to remain too strict until I inevitably cheat and declare it’s all over. It’s how I yo yo diet. Hi Bienissima! Wow I love that name. Doesn’t it mean super good in spanish? Or is it italian? Anyways, great article on the 80/20 rule. Your are right, this can be applied to anything in life. We all need a strong reminder of such a tool. Organizing how we spent time for the betterment of our business is a must, WORK SMARTER, NOT HARDER, for sure!!! Thank you!!!!! It comes from Italian and means something like wonderful. The 80/20 rule is great and yes it can be applied to everything. Not everyone can manage it and it does not come into a lot of minds that most of the successful people and companies work with the 80/20 principle. At its core, the 80-20 rule is a statistical distribution of data that says that 80% of a specific event can be explained by 20% of the total observations. This is a very interesting article for me. 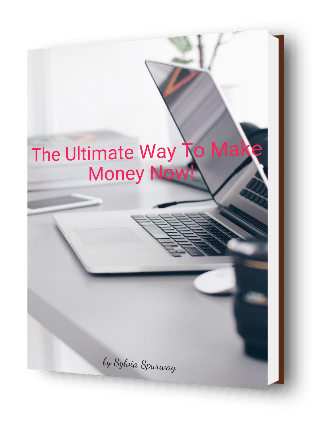 Especially since I am just starting out my own online business and I am trying to work very hard to get everything situated and looking decent, and right now I am getting a trickle of visitors a day – but everyday the number goes up! Its very intriguing to watch the slow progression of revenue on a daily basis ( as long as I continue to plug in my work ) but because my business is in the infancy stage, I feel like a working 80 is given if I want to get to a point to where I only have to work 20 – do you know what I mean? How do you feel about starting a business and trying to get it going? Should you go 20 or 80? 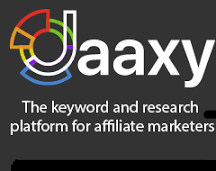 Starting your own online business is excellent and can be a challenge. It does not matter if you just started or not if you start in a way that you want to work from the beginning efficient than when the business grows organising and getting things done is easier. The secret to the 80/20 rule is challenging and needs decision making on what is a priority task and what is not so much priority. I follow a schedule where I know I have productive hours and unproductive hours. (80/20 principle arrangement of time) Essential and money were doing duties I put into the productive hours. The rest goes into the unproductive hours. Jobs I do not like to do and take me ages because of that I will outsource. I like the 80/20 rule. Like you mention it can be applied to everything in life but honestly, I’ve never really thought about it before. I would say that 80% of wasting time and 20% of being efficient applies very well to me! I’m trying to improve on that one, but i think anyone new to working from home would find this a challenge. Thanks for an inspiring post, it as given me a lot to think about! This is something that I struggle with. 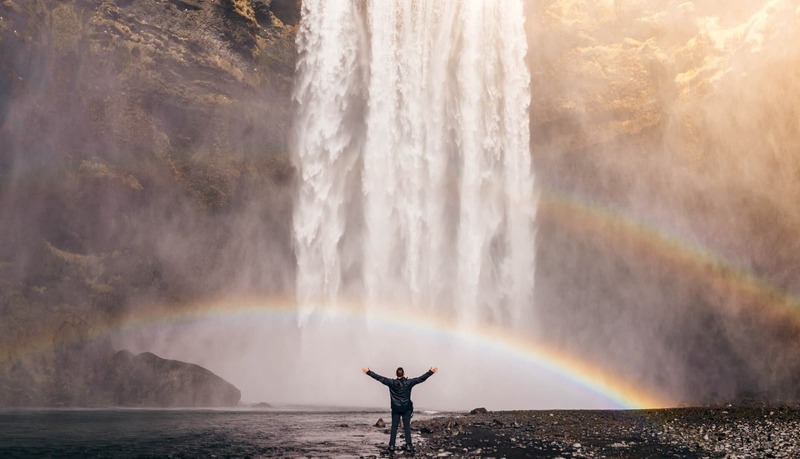 One truth that I have discovered about the 80/20 rule is that you need to have some experience and put in some time before you can really make it effective. I am a little impatient and tend to want to decide what to start cutting out without putting in enough time. I see it in some of the students that I tutor also- they want to solve problems quickly but they haven’t put in the time and practice to know what they need to cut out. So, I absolutely believe that the Pareto Principle can make a huge different, but you do need to put in some work on the front end. Thank you for taking the time to comment. It’s always great to hear other people’s views and experiences on a particular subject. You raise a good point. How often is it the case that we might know the theory about something, but find it difficult to put into practice, sometimes because we have gotten into a certain habit, and we have to “unlearn” that (bad/destructive/negative) habit before we can “relearn” a new one. I know of many people who really genuinely want to change their life, and make resolution after resolution, but never succeed in achieving their goal. Part of it is to do with spending time on the wrong thing, i.e the Pareto Principal, and part of it is to do with a lack of understanding in how to set and achieve goals (you should have big dreams but small, achievable goals). There’s a famous Henry Ford Quote that seems to be apt for this story, and that is “If you fail to plan, you plan to fail”. 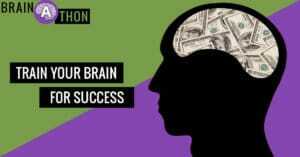 That could be rewritten into a positive statement such as “if you plan to succeed, you must first succeed to plan”. I’d love to hear any stories you have about times when the 80:20 rule has helped you. Interesting, I knew about the 80/20 rule when applied to business and sales but hadn’t thought about it being applied to relationships where you get 80% of what you want. I definitely agree with the concept of working smarter not harder though and have applied it in my life to some effect. Thanks for taking the time to engage. I’m happy to know that you got value out of that blog post. I agree with you that there are so many opportunities to apply this rule in our daily lives. A lot of us don’t even realize how much time we waste every day. People like you who have recognized the need to be more efficient are well on their way to a much more satisfying life. Recognition of the problem is key. 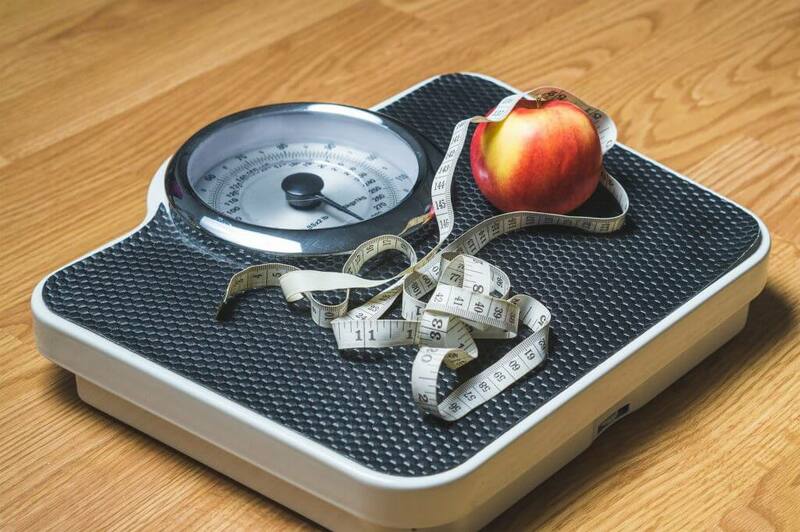 Measuring the problem is also essential for the average person, as once they have hard facts in front of them, they can choose to change their habits/work patterns to improve their efficiency and spend time on what is essential/important to them, based on their life goals. What areas of your daily life have you seen improvement in since recognizing the need and started applying the 80:20 rule? What books have you read on the subject that you would recommend to others? Thanks for sharing and have a fabulous and productive week! Wow! I have to say that I got my light bulb moment when I was reading this. I just had to comment on it, although I don’t always do it. It has helped me understand how thing works, and it all makes sense when you apply this rule. My love life has crumbled so many times because of that 20%, and now I see why I don’t always have all the potential clients buy from my business. Thanks a lot for that nugget of wisdom. Nice to hear that I triggered with my article a light bulb. I have to admit when I read the book from Richard Koch about the 80/20 Principle it clicked many times in my head and mind. 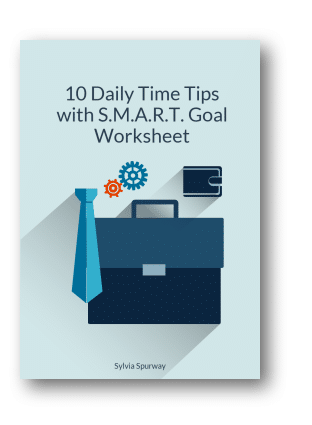 It helped me to fine tune my Time management skills even more. Hi Silvia. I’m a big fan of 80/20 rule. I’m currently studying for the Lean Six Sigma Black Belt certification and one of the management tools used in six sigma is the Pareto rule which states that 80% of effects come from 20% of causes. I also used to be a banker many years ago and I learnt in the bank that 20% of customers make 80% of the bank’s revenue. 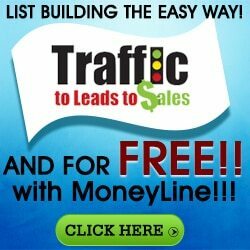 Now I’m working on my online business and I choose the activities that will yield me maximum efficiency. 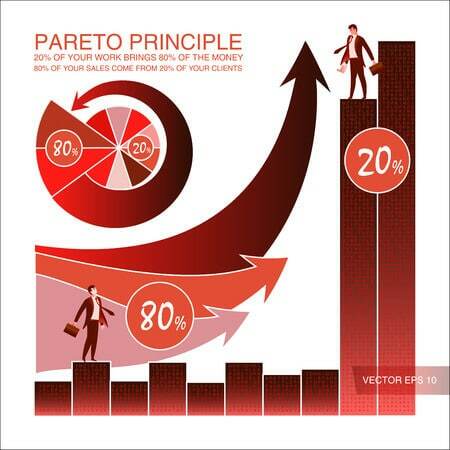 I never thought though of the Pareto rule outside of business. Now you made thinking. One thing that I do sometimes is hire someone to run errands for me so that I can focus on important activities, so maybe I’m using the 80/20 rule without knowing as most of the times we do things naturally. Great article. Thanks for taking time to share your experiences. I love to hear what other people are doing. I believe we can all learn from each other. It’s interesting how you started applying the Pareto principal to your private sphere almost instinctively. When you think about it, it does make a lot of sense. All of us have an actual or implied earning power, i.e. how much an hour of our time is worth. And it follows that there are a few key activities that make us that money (placing the ads or writing that blog or answering those client emails). So we should focus as many hours as we can during our productive period on those activities. And if for example we can make $100/hour on average, and someone else is willing to provide a concierge service for $25/hour, or a copy writing service for $50/hour etc., we should be farming out those activities that don’t make us any money and don’t cost us more than we can make. Thank you for an interesting post. I agree with all you say about the 80/20 rule. However, I believe that when it comes to business it’s easier to apply this rule when working with a team. I’m aware the rule would still apply because each member of a team would work at a different speed as well as a different level of expertise, but it’s feasible to set an 80/20 rule for a larger business rather than a one-person business. When working on our own there are often many disruptions that it’s not always possible to meet targets such as the 80/20 rule. The only way to meet such targets is to delegate by outsourcing a percentage of work. Even if delegating doesn’t contribute to exactly meeting targets, it should go a long way towards greater productivity. Thanks for taking the time to engage. You make a very valid point. 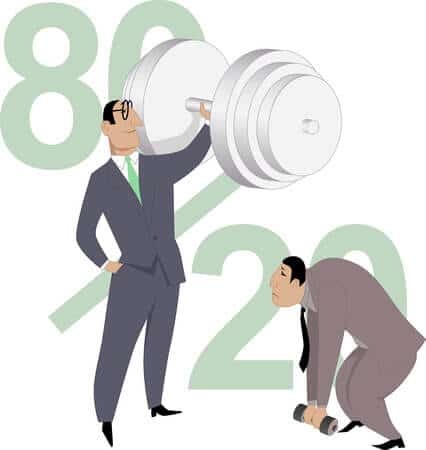 There are definitely synergies and efficiencies to be extracted by applying the 80:20 rule in a business setting. Established businesses have more resources to throw at a problem – period. However, I had my eyes opened on this topic a couple of years ago by an online marketing pioneer. He had earned millions before he started employing a team. But that does not mean that he had not been applying the 80:20 rule stringently and diligently since he first started his business from the bedroom of his Mum and Dad’s house. In fact, he started “outsourcing” jobs well before it became trendy to use the likes of Upwork, Fivver, Freelancer et Al., to do one off, or repetitive tasks that you are not good at, or are below your pay grade. My friend (and Mentor) had worked out what he was good at, and how much he could make his (own) company for every hour he remained focused on that task. In the early days he valued an hour of his time at around GBP 100. So spending an hour to drop in or collect his dry cleaning, or go grocery shopping, or clean his apartment, or do the laundry etc, was not worth his while. He was better off staying put in his office and working for 8 hours a day, and finding other people to pay to do those other tasks. Until he mentored my when starting my own online business, I had not taken stock of my own “value” and hence hourly rate, and tended to take care of all chores, big or small, important or trivial, and critical to my business’s survival or of no consequence in the bigger scheme things. I don’t know if the actual ration that I now use is 80:20, running a time/task management tracking App is a good way of finding out, but I do know that I now super aware not to spend time on the wrong tasks. The 80/20 principle is something that one of my favorite bloggers talks about, Tim Ferris. In his book the 4 hour work week he discusses how 80 percent of his profits came from 20 percent of his customers. So he began to solely focus on those customers and this saved his an incredible amount of time and effort. I can definitely appreciate how to teach in this post that this principle can help anyone work smarter and not harder. Thanks for taking the time to share your thoughts and experiences. I recommend to all of my coaching/mentoring students. His hypothesis/observation that 80% of a firms’ profits come from 20% of it’s customers is something I can personally validate from the 25 year span of another company I built up. So from a purely economic efficiency standpoint, the weight of evidence suggests that firms really could cut out 80% of their customer base altogether and focus all of their intellectual property, manpower and resources on the customers who make up the 20%. From a risk management standpoint, allowing your business to rely heavily on one, or just a few large customers, brings with it it’s own set of challenges. I have often heard of “work smarter, not harder” and while not always being able to do that, it is a great phrase to remember and one I have said to others in the past. 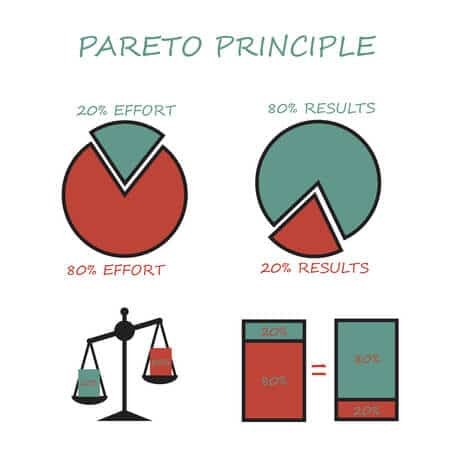 This was the first time I have heard of Pareto’s Principle, but you struck a chord with me on it. I seem to spend a lot of time and energy on the wrong aspects of the tasks at hand, often putting the wrong emphasis on the easier or less profitable areas. Thinking of the 80/20 Rule can help direct my attention towards what is important to me. Your tips on how to overcome the reverse 20/80 Rule are simple to say but seem to require a mind shift in my daily activities. 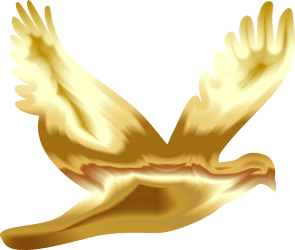 Goals to reach for and reminders to stay on the productive tasks. Working a full-time job, online training for a business of my own, a family (with two teenagers) and a big mix of pets, I constantly have to make snap decisions on what goes to the top of my To-Do list. I can see opportunities where applying the Rule would be to my benefit, and lead to more quality results both in my personal as well as my professional life. Thanks for the great article and for giving me some knowledge! I know and understand what you are saying. Everything looks easy on paper but to implement those things like the 80/20 rule isn’t always as easy as it sounds. It took me nearly three months to get my priorities each day sorted out. Following the book, and tweaking and finetune my tasks helped me a great deal. A lot of people fail with the 80/20 rule because they have difficulties to decide what are the essential tasks to do first so that they should do. Anyone starting with the 80/20 principle should re-set their mind to the productive mode. Have you read the book ” The 80/20 Principle? 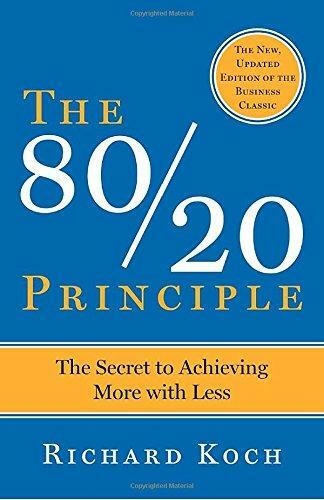 The Secret to Achieving More with Less.” If you want to master the 80/20 Principle correctly and use it to your benefit, then it is a must read. You are correct and making the connection with Time management, not to forget that both are working well together if we use them wisely. Do read my post about Time management. Please feel free to ask if you need help with the 80/20 rule. I love this rule and try my best to apply it to everything I do in life. Especially when it comes to my business. I am always looking ways to do things better and more efficient. It is hard though to remember that there is always a better way of doing things. I find that because I get comfortable doing something a certain way, it is hard to change to something new. But if we all do that in everything we do in life, it will make us much more efficient people. 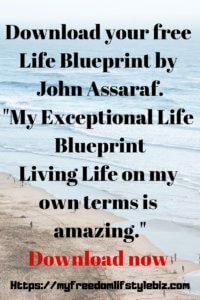 This was a great post and I loved reading it! It was a reminder of what I need to do every single day! I love the 80/20 principle too, and I have to say I have to remind myself also. Sometimes we just forget and start the 20/80 rule happen to me a few times. The longer I take this approach, the better I get and the more efficient I am. We are humans, and 80% don’t like change as that is a way for us to move out of our comfort zone. Thank you for sharing your view. Have a great day. I am so glad I came across this article! As a young entrepreneur and a junior in high school, I have been very busy and unproductive, but now I realize that if I focus on the stuff that gets me more productive, the less stress and time I spend! Also, I love lifting, I find that nutrition is 80% of the equation! I can get abs and train hard, but it won’t matter if I have fat covering them! Thank you for sharing this article, and I hope to read more again! As a young Entrepreneur, it is essential to be productive and efficient. The 80/20 Rule is so quickly forgotten when you are on deadlines. The beauty of the 80/20 rule is that you can use it for everything. It always works in the right proportion. I have a son in high school grade 11, and he got himself now a time management software. He did not believe in the beginning how much more efficient he is now. He follows with the software the 80/20 Rule and has improved his grades and scheduling.